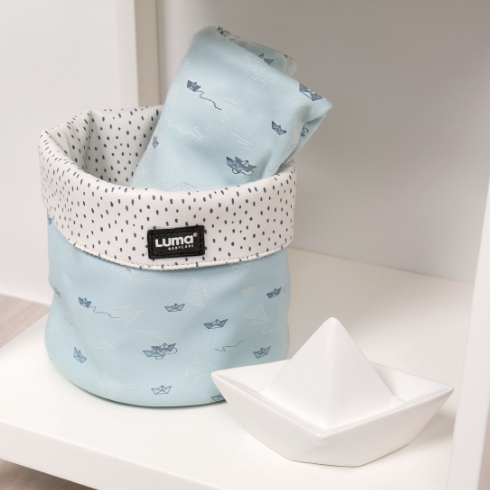 Trendy LUMA nursery basket. The round basket has a nice print and is an eye catcher in every bath room. Store all nursing products like combs, brushes, nail clippers and file. Very practical, have everything within arm’s reach.